We're still in the early stages of recovery from holiday break, so it's perhaps a blessing that today's post is a hobby roundup. 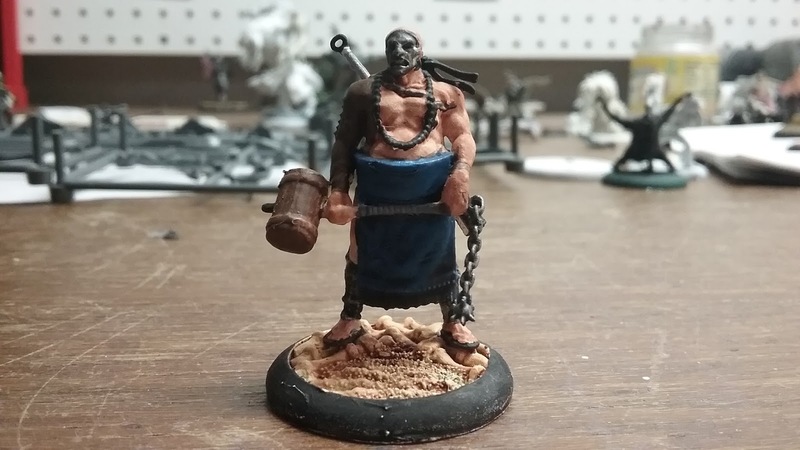 To begin with, let's take a look at the Iron Painter. 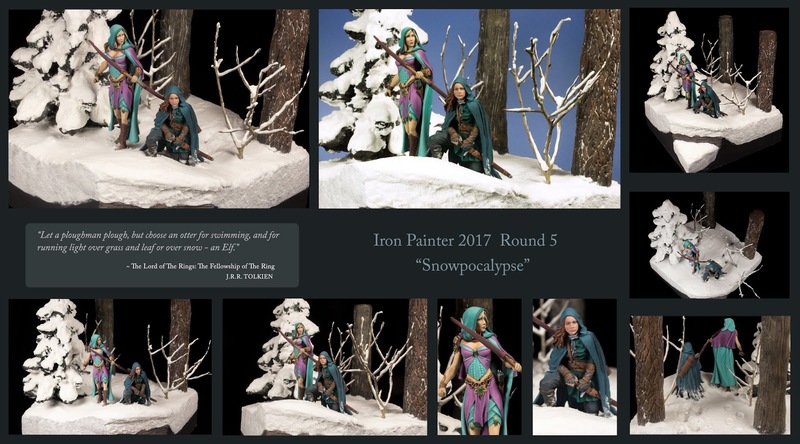 The last round's theme was Snowpocalypse, and has finished up. Voting is going on now. Congratulations to everyone who made it through to this point! I'm going to feature the entries of the two Gold finalists, but everybody who made it through to the end is a winner. 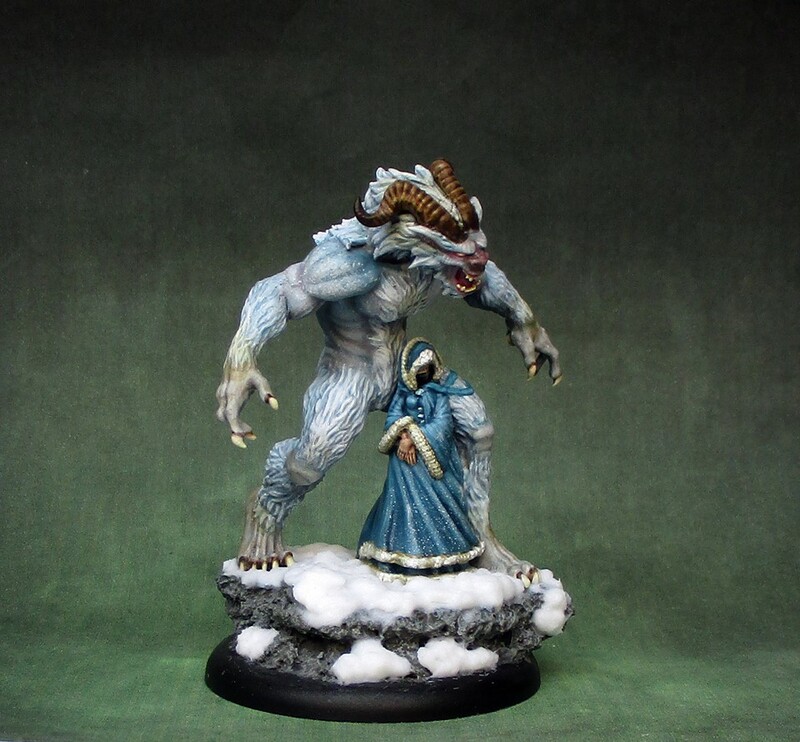 The first competitor for the final prize is Octavus, who submitted this entry, featuring an encounter between some gasmasked figures with a "Spirit of Christmas." The diorama is highlighted by photo-realistic images of missing people pasted to the board of the building behind them (click and blow it up to see them more clearly). 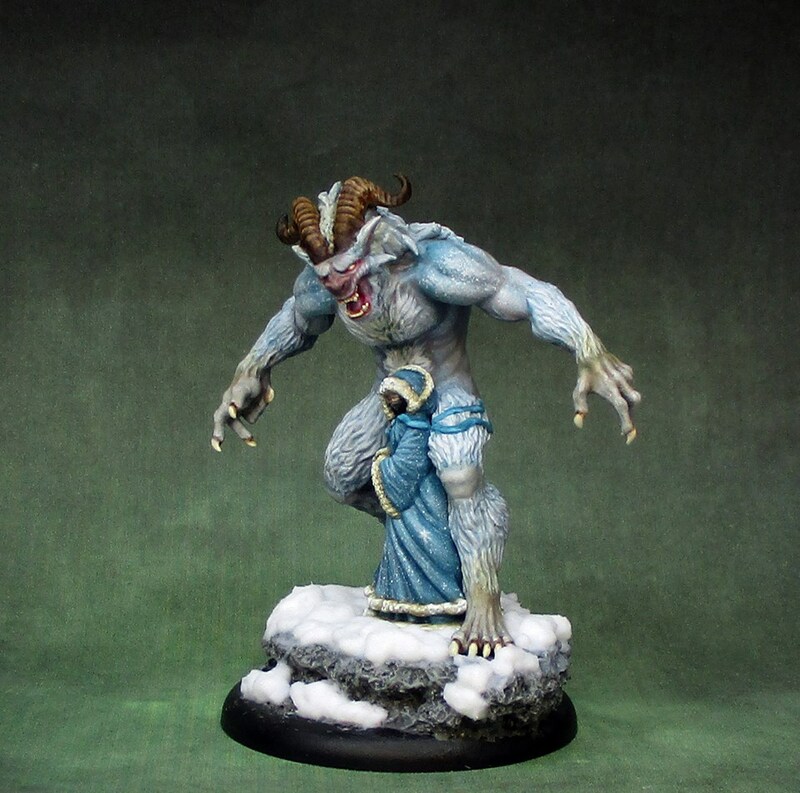 The second entry was submitted by Whirler. This diorama features a party of elves travelling through the snow, along with a Tolkein quote. 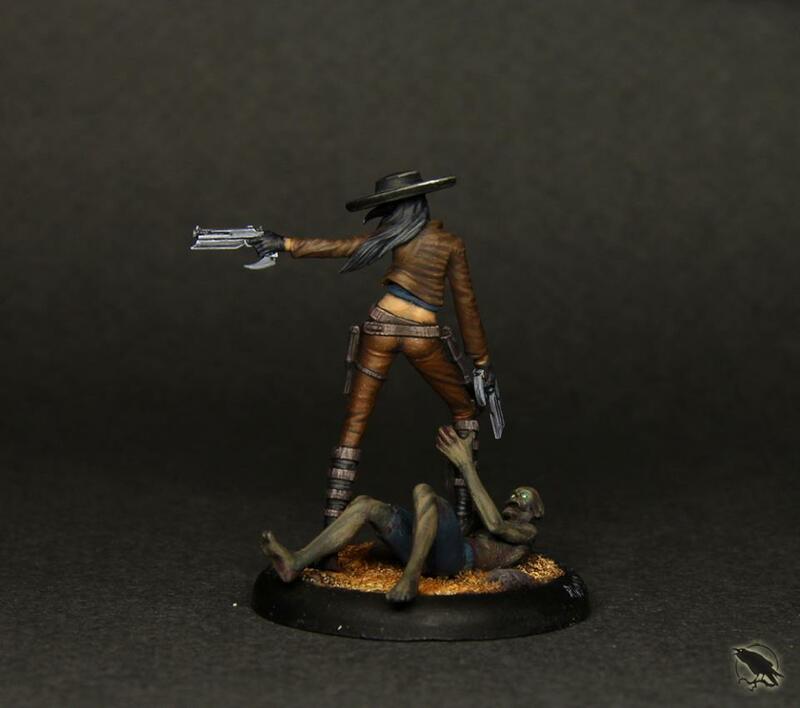 The realism of the faces, particularly on the crouching woman, is stunning. 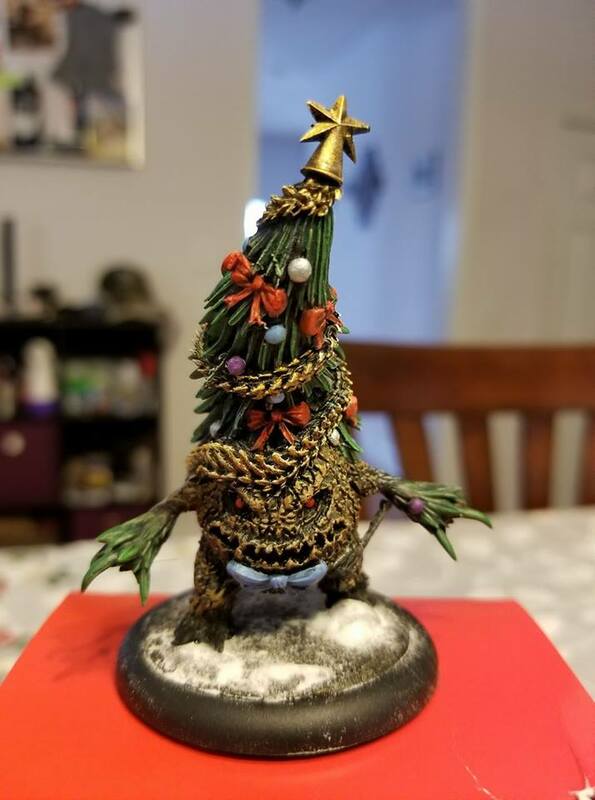 I don't envy the judges their choice between these two amazing entries. And, again, let me point out that these two are not the only entries. The Silver, Bronze, and even those who had been eliminated but continued to paint submitted some great work as well. Check it all out, and go submit your votes for the Bronze categories. To swing hard in the other direction, I did a bit of work since the last of these posts. 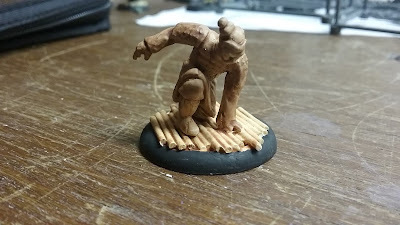 I was going to Dawn's team event last month that ended up not happening and needed to play Ten Thunders, so I got some paint on a couple of staples, the Terracotta Warrior and Ten Thunders Brother, and a proxy for a Wave 5 model, Gwynneth Maddox. 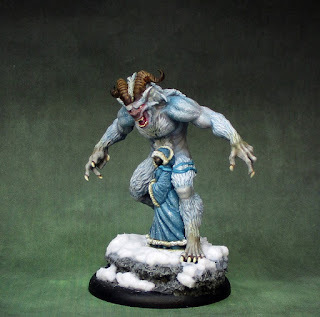 This was my first real try at working with white primer. I'm pleased with how it went, though I'm not crazy about the specific primer I used (too think, chokes out some details.) Still, I think they turned out well. 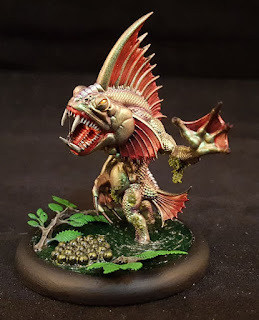 Finally, I've done my usual perusing of the Wyrd place painting submissions, picking out a few things that jumped out and drew my attention. 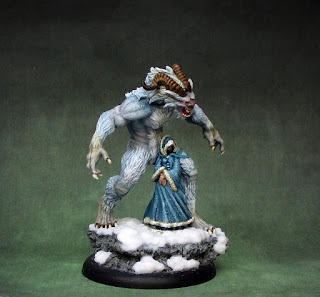 First, there's a Spawn Mother that looks very impressive, painted by Adam Huenecke. 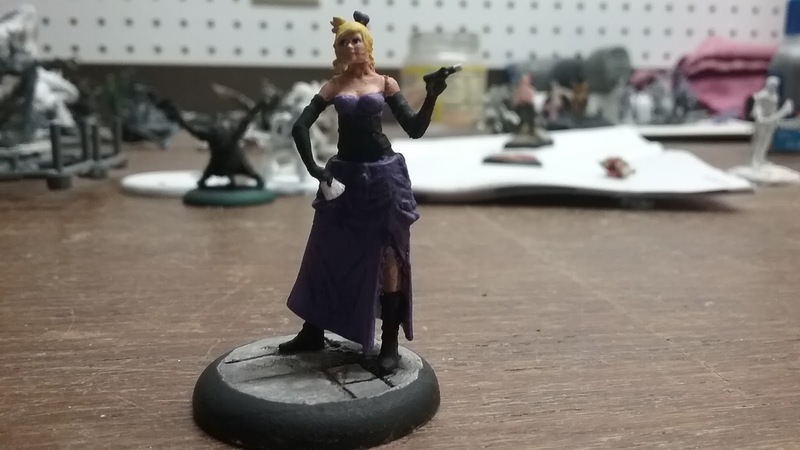 Next, there have of course been a number of people painting the holiday themed alternate Rasputina boxed set. I appreciated this version of the Festivus Arboreus by Al Jardines. Next, continuing with the winter theme, here's a version of the more classic Rasputina crew staple, the Snowstorm, painted by Dragon Slayer Models. 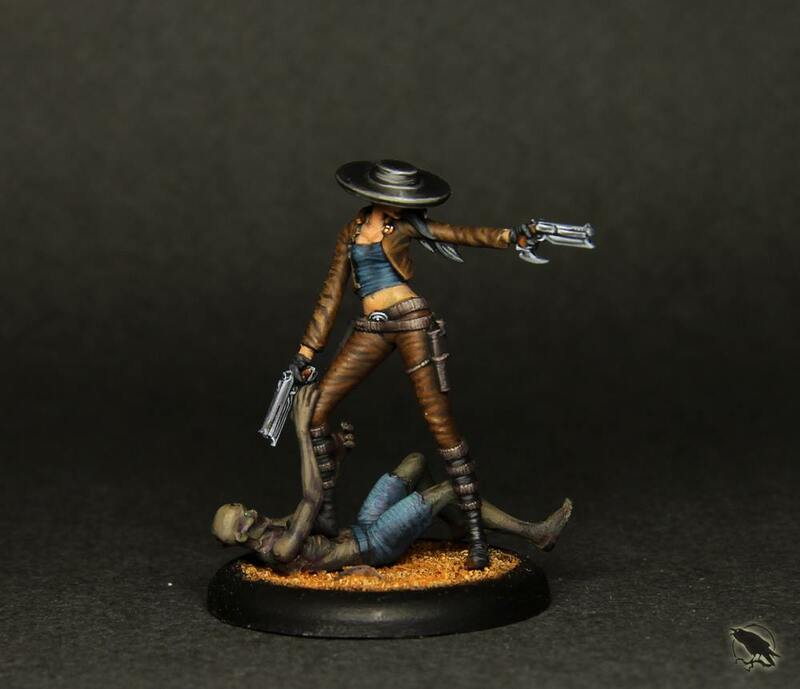 And lastly, to warm things up a bit, here's the alternate Santiago Ortega model, Santana, done by Ravenswood Studios. Lastly, I'd like to direct some of you to a poll I put up on the Malifaux Musings Facebook page. I'm collecting data to try and aim posts to more of the content people specifically are interested in. Go over there, give us a FB like, and make your voice heard! I want to keep the blog's growth going! 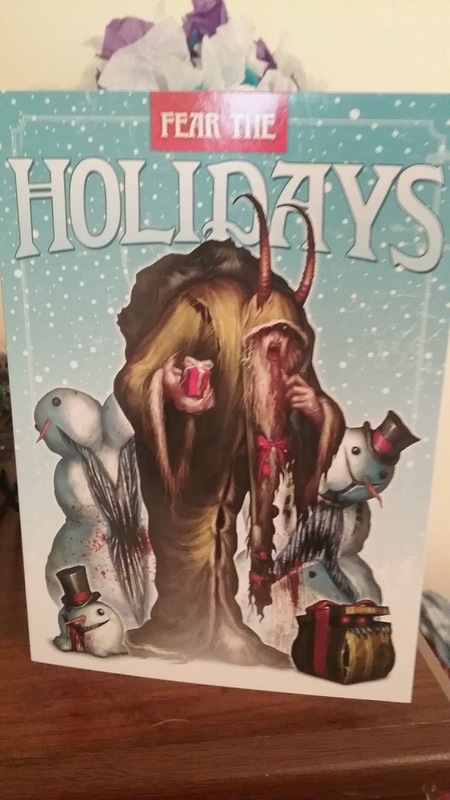 And with that, I'll pass on one last bit of Holiday cheer, sent to me by the people of Wyrd. 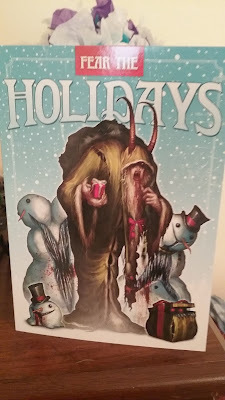 I know some of you read the blog, so I thought I'd let you know that the holiday card really made my day. It's my privilege to contribute my small part of making Wyrd grow, and I'm looking forward to what I can do in the coming year.